This little Beetroot Bunches pattern was made from photographs that I took of the cross section of a beetroot and of them in bunches...much like the title suggest. Beetroot are one of my favourite go to veg for juicing, roasting, in salads and in deserts. 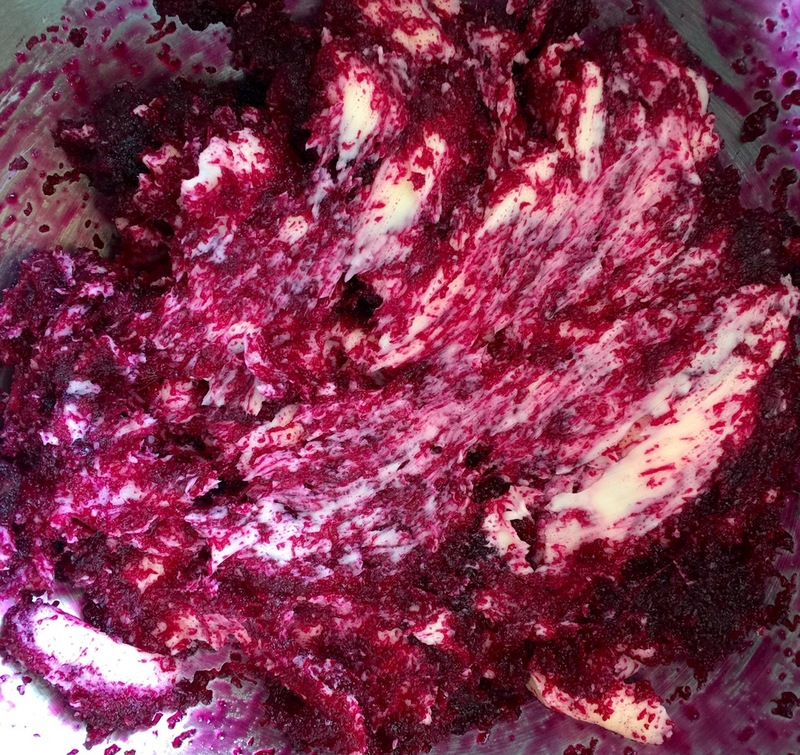 I love to hear the groans when I tell students that we will be making beetroot brownies; listening to the protestations of how much they are hated and eventually listening to the surprised exclamations of surprise that they are actually enjoying them in brownie form. They really do increase the moistness of cakes and brownies whilst providing healthy sugars. You can see my Beetroot Brownie recipe and post for more details.